My JGP Debut in Colorado Springs! The past two or three months have been a hectic time! Choices have been offered, discussions have taken place, big decisions have been made, and paths have been followed. 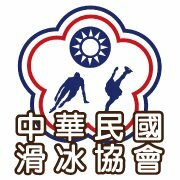 Ladies and gentlemen, I take great pleasure in formally announcing that (as of July 1st) I now officially represent the Chinese Taipei Figure Skating Union, otherwise generally known as the island of Taiwan. My Chinese name is 林仁語. I did not take this decision lightly – indeed, quite the opposite. I have thoroughly enjoyed my years competing in the US’s delightful environment, and I am very lucky to have been one of the chosen members of USA’s international team, competing at the Challenge Cup 2014 in The Hague, Netherlands. My Team USA jacket is both memento and memory for me, and I will cherish it always. I am deeply and humbly thankful for the USFSA’s efforts in supporting me for the past ten years; they have shaped me as a skater and as a person in ways too numerous to count, and they will always have a place in my heart. I wish each and every one of them – and all the skaters they support – the best of luck in their future endeavors. As I move forward into this new chapter of my life, I am eager for the new opportunities that representing Chinese Taipei will bring. Taiwan has always held a special place in my heart – both my parents were born and grew up there, and many of my family members live there. I believe that this decision acts in the best interests of me, my support group, and my dreams, and I’m grateful to the Chinese Taipei FSU for accepting me and look forward to a long, successful partnership with them. It’s an honor and a privilege. So full speed ahead! My first competition representing Taiwan will be the Chinese Taipei Figure Skating Championships, held in Taipei, Taiwan, on August 1st-2nd. Afterwards, I am competing at the Asian Open Figure Skating Trophy 2015 (August 5th-8th), in Bangkok, Thailand. After that…well, we’ll see! Thank you SO much for all the support you guys have shown me! I hope that you’ll continue to travel along with me as I follow the path to my dreams! Last year didn’t quite go the way I hoped, but I gained a lot of valuable experience both as an athlete and as a person. I feel that now is the time to embrace new ideas and look for opportunities, even if that means going back to the roots. At any rate, I am still proud of what I managed to accomplish last season, and I am determined to keep building upon my previous successes, no matter how small. I hope you’ll enjoy these videos, which are the culmination of all my hard work throughout 2014. And, as a bonus, here is a little sneak peek at what’s in store for 2015! Now that Sectionals is over, it`s time to gear up for Nationals. Greensboro, here I come! Before that, though, I`ll be spreading the Christmas spirit at All Year FSC`s 2014 Winter Recital. Please come and join me and all the other All Year skaters for a night of winter skating fun! Click on the picture below for details. Nine U.S. athletes to compete at the junior and senior levels at 2014 Challenge Cup March 6-9, in The Hague, Netherlands. Elena Taylor and Amy Lin will make their international debuts in the junior ladies event. 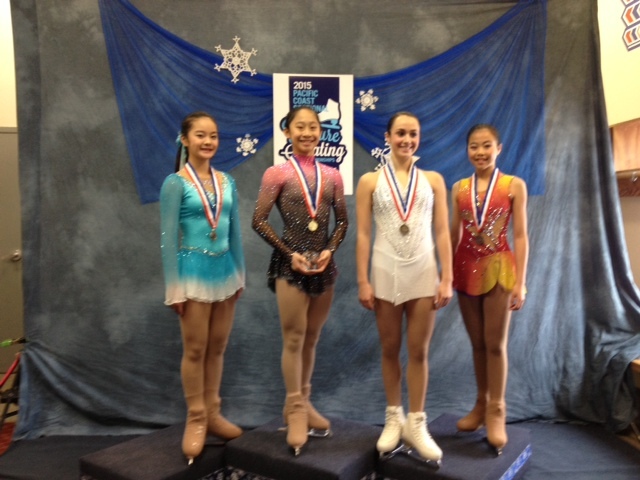 Taylor and Lin finished fifth and sixth, respectively, at the junior level at the 2014 Prudential U.S. Figure Skating Championships. Douglas Razzano finished sixth at the 2014 U.S. Championships. He is Team USA’s only senior competitor in The Hague. Competing at the junior level are Chase Belmontes and Kevin Shum, who finished fourth and sixth, respectively, at the U.S. Championships. Both are making their international debuts at this event. Aya Takai and Brian Johnson finished seventh as juniors at the 2014 U.S. Championships. Should they make the minimum technical scores (SP 20.00; FS 30.00) required by the ISU to compete in championship events, the team will then compete next weekend at the 2014 World Junior Championships in Sofia, Bulgaria. Chelsea Liu and Devin Perini were originally selected to the World Junior Team but will not compete due to a Perini injury. Jessica Lee and Robert Hennings are the 2014 U.S. novice bronze medalists.